In a bowl, combine flour, sugar, baking powder, garlic powder and salt. Cut in butter, with a fork or pastry blender, until mixture is crumbly. Add in buttermilk and mix until just combined. 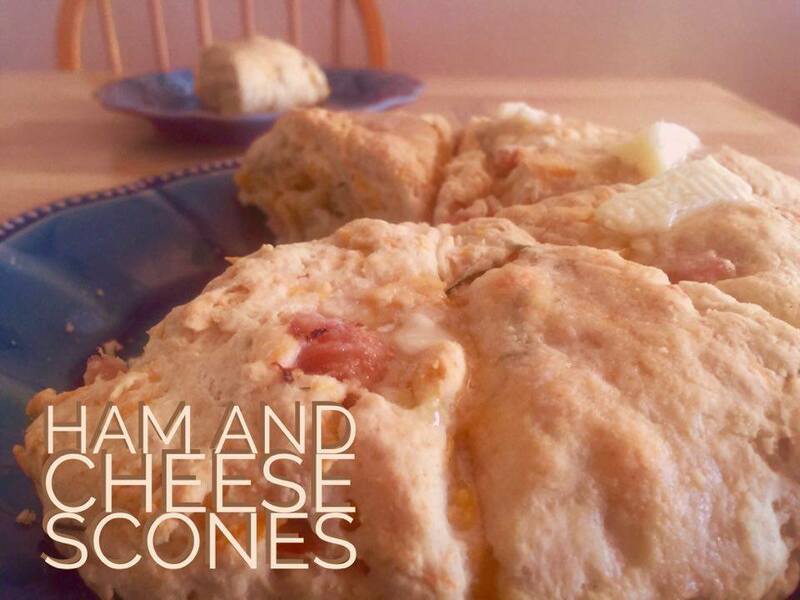 Do not overmix or your scones will not be flaky. Fold in ham, cheddar cheese and chives. Knead slightly until the dough forms a ball. Form dough into an 8 inch circle on prepared baking sheet. Score into 6 or 8 pieces.